I go to the movies a lot. I started this blog about eight years ago because I wanted to have a place to think out loud about the movies I was seeing--to reflect on the old and the new, on the good and the bad. I called it the Night Editor because I tend to write late and because I like the 1946 noir NIGHT EDITOR directed by Henry Levin and starring Janis Carter (an overlooked minor gem, btw). A lot has happened for me in years since I started the blog. I've published several books, been to France twice on book tours, participated in several readings at Noir At The Bar functions, and relocated to Chicago. But I've also seen a lot of movies. On the side of this blog I keep a running tally of how many movies I've seen at the theater. I don't know why I do this, except that going to the movies is the closest thing I have to a hobby. This year I saw 85 movies at the theater. That's a lot, I know, (a movie about every four days), but the true measure of my cinephilic tendencies is that I don't feel like I saw enough. I still managed to miss so many interesting-looking new films and great old classics in rerelease. I'm not someone who generally laments the state of film. Yes, schlock too often rules the box office. Yes, I worry about the reheated nature of our choices, where it seems that almost everything at the box office is a do-over of some pre-existing property. Yes, the culture is ever more infantilized. Yes, it is harder and harder to get movies made for adults. In some ways, things are better than we give them credit for being (and things in previous days were often worse than we give them credit for being). Here's a list of some good things about the current state of movies. 2. Great stuff still gets made. This year I saw films as different as MOONLIGHT, MANCHESTER BY THE SEA, HAIL CAESAR!, ARRIVAL, CERTAIN WOMEN, and FENCES. If I'd only seen these movies, I still would have been pretty happy at the breadth and accomplishment of the year. Different movies with different tones and intentions, but so much skill and heart. 3. The revival business is going strong. I have to start here by saying that "strong" is a relative term. I'm not trying to suggest that it's 1960s-film-society strong out there, but, when it comes to classic film, I had an incredible year at the movies. Just to name a few: I saw the triumphant restoration of Welles's masterpiece CHIMES AT MIDNIGHT (twice), as well as Bergman's THE SEVENTH SEAL, the Coens' BLOOD SIMPLE and BARTON FINK, Ozu's LATE AUTUMN, Kurosawa's YOJIMBO, von Stroheim's GREED, and Hitchcock's VERTIGO. The movie event of the year for me was the release of Kieslowski's DEKALOG, the ten hours of which comprised my most exciting cinematic experience this year. I should say a few words about disappointments. In the realm of blockbusters, I think the Star Trek and Bourne franchises are in trouble. STAR TREK BEYOND was more entertaining than its horrible trailer, but the series itself is adrift. And JASON BOURNE feels every bit like a movie that knows it has no reason to exist. On the art side, Terrence Malick was back with KNIGHT OF CUPS, the kind of meandering pose-striking mess someone might make to parody Terrence Malick. 1. 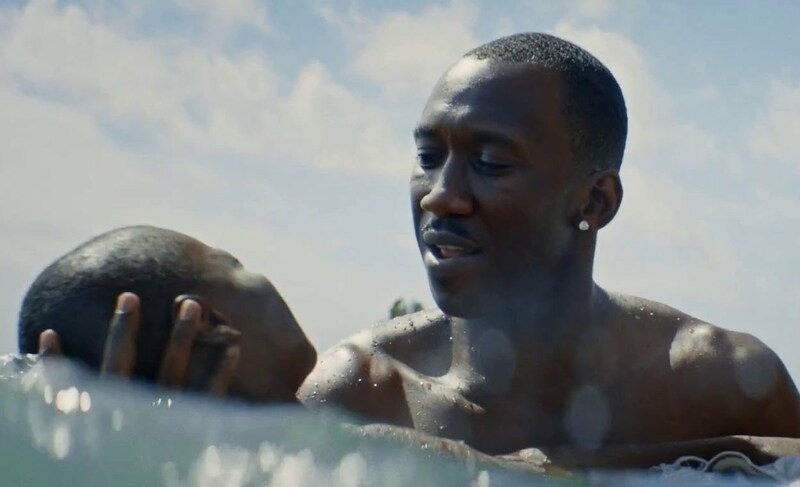 MOONLIGHT-A triumph from director/screenwriter Barry Jenkins, this coming of age tale might be the most perfectly achieved new film I saw this year, with vivid camerawork and brilliant acting. Unfolding in three chapters over several years, it creates and maintains an atmosphere of emotional intensity without ever seeming to reach too hard for effect. Devastating and beautiful. 2. MANCHESTER BY THE SEA-No film I saw this year haunted me as much as this one. Director/screenwriter Kenneth Longeran tells a quietly funny and finely observed story about the ways we live with grief. Casey Affleck is a slow burning flame in the lead role as an emotionally isolated janitor dealing with the death of his older brother, and as his ex-wife Michelle Williams proves once again that she's one of the best actors working. 3. 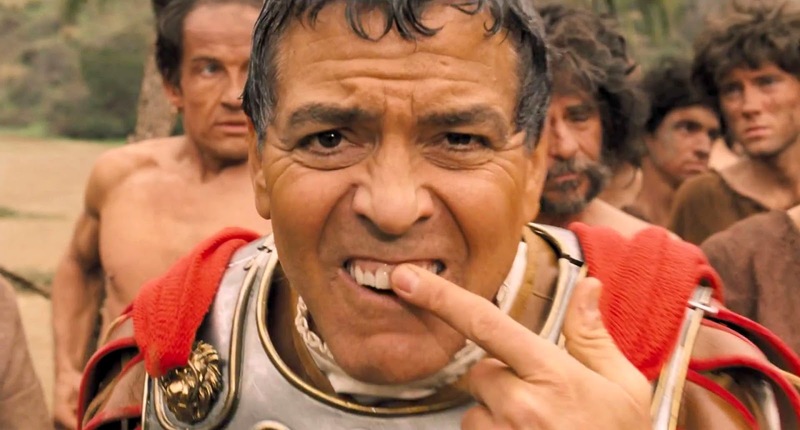 HAIL, CAESAR!-This movie divided a lot of people, even admirers of the Coen Brothers. All I can say is that it feels like a movie they made just for me, a whacked out comedy about the Hollywood studio system, with singing cowboys, dancing Communists, Jesus-obsessed studio fixers, and a goofball star of biblical epics played by George Clooney in his best comic turn in years. 4. FENCES-A world where Denzel Washington makes adaptations of August Wilson plays is a fine world, indeed. He and Viola Davis do a powerful duet here as a married couple confronting themselves, and each other, for the first time. With exceptional supporting work from Stephen Henderson and Jovan Adepo. There's talk of Washington producing more plays from Wilson's Century Cycle, which goes on the short list of things to be excited about. 5. CERTAIN WOMEN-An anthology film from director/screenwriter Kelly Reichardt based on the stories of Maile Meloy tells three different tales set in Montana. The first two stories are interesting, but the third story, about the would-be romance between a shy ranch hand (Lily Gladstone) and a young lawyer (Kristen Stewart), is a delicate heartbreaker, among the finest things that Reichardt has done. 6. ARRIVAL-This was the best sci-fi movie of the year. Sure ROGUE ONE was okay, but in a better world this deeply involving and strikingly achieved film from director Denis Villeneuve would be the one breaking records at the box office. 7. MIDNIGHT SPECIAL-Director/screenwriter Jeff Nichols makes such wonderfully quirky and specific films. This is his most daring to date, a religiously infused bit of sci-fi realism with yet another powerhouse performance from Michael Shannon. 8. WIENER-DOG-Director/screenwriter Todd Solondz is not usually my cup of cinematic tea, but this brutally funny pitch-black comedy hit me where I live. It's grim, unflinching, and hilarious. 9. LA LA LAND-From director/screenwriter Damien Chazelle and composer Justin Hurwitz, this musical comedy is a hell of a lot of fun. Some unfocused storytelling in the middle sections and some vocals-too-low-in-the-mix keep it from being completely successful, but it's carried along by good music and a stellar performance by Emma Stone. 10. NOCTURNAL ANIMALS-The final third of this twisty drama from director/screenwriter Tom Ford (adapting the novel TONY AND SUSAN by Austin Wright) has elements of a conventional (and lesser) thriller, but such is the power of this piece that I don't know what to make of them. I need to see this movie again to unravel the threads of reality and unreality that tie together its main storyline (an art dealer played by Amy Adams is shown a new novel written by her ex-husband) and the story of the novel in which a family man played by Jake Gyllenhaal (who also plays the author of the novel) seeks to avenge the murder of his wife and daughter with the help of a dying detective played by Michael Shannon (in his other great performance of the year). Other good films I saw this year included the riveting documentary WEINER, the coolly unsettling THE LOBSTER, the effective Blake Lively-versus-Jaws thriller THE SHALLOWS, the fun GHOSTBUSTERS reboot, the happily trashy THE NICE GUYS, the well-acted rural noir HELL OR HIGH WATER and the quirky western IN A VALLEY OF VIOLENCE featuring a wonderful scene-stealing performance from John Travolta as the morally conflicted, and often laugh out loud funny, bad guy. In addition to those already mentioned, some of the best revival movie experiences I had this year included seeing my beloved PAPER MOON (1973) on the big screen for the first time; discovering Stephanie Rothman's deeply subversive THE STUDENT NURSES (1970) and Peter Fonda's trippy THE HIRED HAND (1971); and revisiting Billy Wilder's hilarious ONE, TWO, THREE (1961), Bogart's final film THE HARDER THEY FALL (1957) and Scorsese's masterpiece TAXI DRIVER (1976). My best discovery at the revival movies was the Nicholas Ray rodeo drama THE LUSTY MEN (1952) which features the best Robert Mitchum performance that most people haven't seen. All in all, it was a damn good year at the movies. The year ahead looks foreboding in many ways for our politics and our society. We need the movies more than ever, and here's hoping 2017 will find me (and you) in the dark, staring up at the big screen.